Because of the A(H1N1) outbreak in Mexico where 58 people have died, hotels on Mexico’s Caribbean coast are now offering free holidays for three years to any tourist who catches swine flue whilst on vacation in the area. 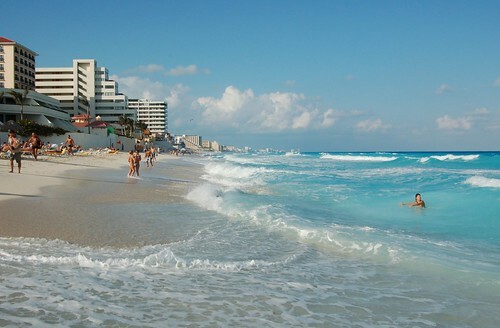 Mexico has some of the world’s most beautiful beaches and places like Tulum Beach in the Yucatan Peninsula and Cancun are popular beach holiday locations. This is a bid to counter swine flu’s blow to the tourism industry as it has been hit hard by the flue epidemic with a huge amount of cancellations in hotel and holiday bookings in Mexico which has so far caused at least 25 hotels to close in and around Cancun alone and the flu’s impact, including on tourism, was expected to cost Mexico’s economy around 2.3 billion dollars. Health Minister Jose Angel Cordova said that several top Mexican beach resorts, including Cozumel on the east coast and Puerto Vallarta on the west coast, had not registered any A(H1N1) cases at all and that “Tourist destinations are safe in Mexico, people can return calmly, we are carrying out intensive checks,” Cordova said. About five thousand hotel rooms have so far been involved in the promotion which is hoped would demonstrate the confidence in Mexico’s beach resorts. “The ‘flu-free guarantee’ assures three years of free holidays to tourists who present flu symptoms eight days after returning from their trip,” said Fernando Garcia, director of one of the participating hotel groups. Hotel owners in Mexico will also send letters to the US government as well as US newspapers asking to remove the alert against non-essential travel Mexico due to the flu epidemic. On the flip side, the health minister said Monday that three foreigners including one from Scotland and two from the United States were among more than two thousand swine flu cases identified in the whole of Mexico, including two who had actually had been in the popular beach resort of Cancun. This entry was posted	on Wednesday, May 13th, 2009 at 6:32 am and is filed under Announcements, Caribbean. You can follow any responses to this entry through the RSS 2.0 feed. Both comments and pings are currently closed.